I saw a package of all white fake Eater eggs at Walmart several weeks ago, and thought I needed them (white is becoming my favorite color these days), but resisted buying them because I really didn't know what to do with them. 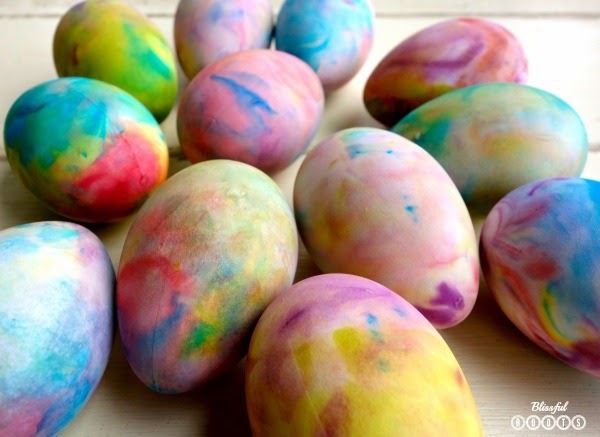 Until... just the other day I somehow got thinking about the eggs again, and how the shaving cream and food coloring art activity we've done before could be the perfect match for the eggs! I picked up a package (they were under $2 for a dozen) of the eggs, and my four-year-old and I decided to give it a try. I wasn't sure if the food coloring would stick to the eggs (they aren't plastic, they're more papery than plastic) but it totally did. We even tried it on one of our real chicken eggs, and it worked on that as well! I have all the instructions here for doing the shaving cream and food coloring. 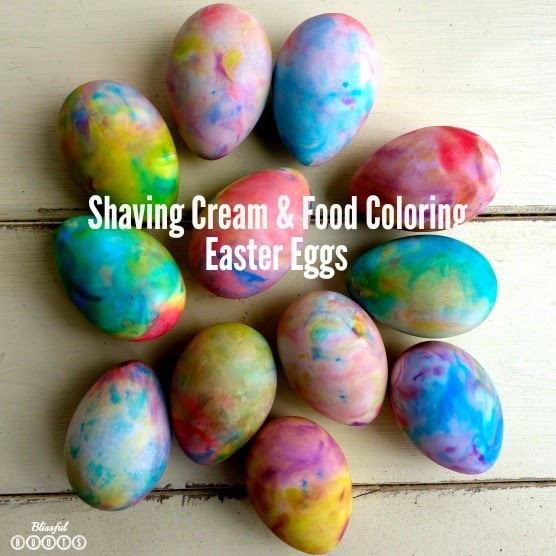 Basically, you'll spread a layer of shaving cream in a small cookie tray, drop drops of food coloring in the shaving cream, swirl the colors slightly with a popsicle stick, and then roll, or kind of stamp each part the egg in the colorful shaving cream. 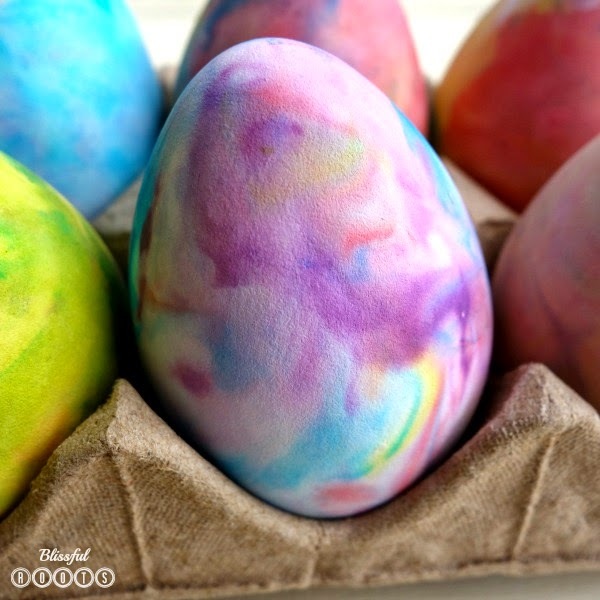 When we do the shaving cream and food coloring art with paper, we usually scrape the excess shaving cream off with a popsicle stick, but for the eggs, we just wiped it off gently with a paper towel. Like I mentioned, we had a dozen of these eggs, and they went way too quickly. It's so much fun experimenting with the different colors on each egg. And our hands were as colorful as the Easter eggs when we were done. But all part of the fun! A question's frozen coloring pages go about as separate reflectors meaning they will just mirror their own particular shading.